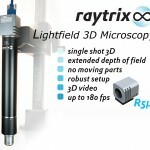 Our research and information about German LightField specialist Raytrix is still somewhat limited. However, we are planning to add to this page all the information we can find about the company history . To find out more about Raytrix, just explore the following timeline. Click any entry for more information, or year numbers to open all included entries. In 2008, Christian Perwaß and Lennart Wietzke start a company named Raytrix. Their goal is to bring the world’s first plenoptic camera to the market for industrial applications. Initial products and services revolve primarily around Laser- and multimedia systems (e.g. 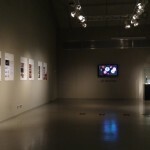 Laser display projectors and Laser-show hard- & software). 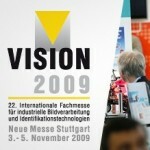 At Vision 2009 in Stuttgart, Germany, an international trade fair for digital imaging and machine vision, Raytrix demonstrates what they call “3D Focus Technology” (later on: LightField technology). 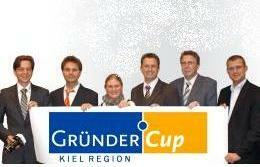 Raytrix is awarded GründerCup Kiel’s High-Tech Prize for commercializing LightField technology, at the time a worldwide novelty. 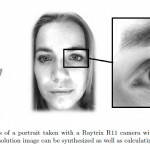 In 2010, a year before Lytro introduces the world’s first consumer LightField camera, Raytrix presents the first ever commercial LightField camera: the R11 LightField camera is a modified Lumenera Industrial camera that uses an array of 40,000 microlenses1 (200 µm diameter each) in front of its sensor. 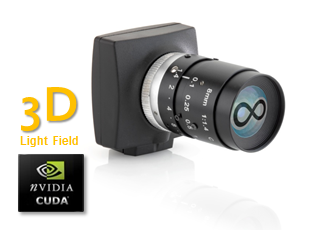 The camera is tethered to a Windows PC powered by Nvidia CUDA graphics technology. With up to 3 megapixels effective resolution (9 µm square pixel size), the R11 weighs in at just over 900 g and 8.89 x 9.78 x 10.39 cm (3.50 x 3.85 x 4.09 in) and features a 35 mm large format 10.7 megapixel CCD, Progressive Scan Shutter, 3.5 fps video at full resolution and USB 2.0 interface. The initial version of the R11 is priced at 30,000 €1. Asked about affordable consumer cameras in the 1,000-2,000 Euro price-range, co-founder Christian Perwass estimates that such models may hit the market by 20151. 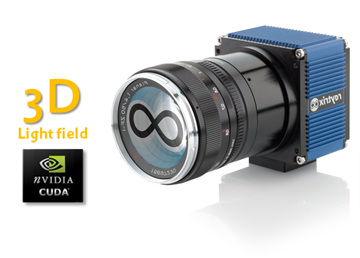 The company’s second LightField camera, the R5 camera, is presented at IDS Roadshow 2010. 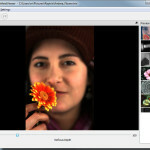 It uses a CMOS image sensor to provide up to 15 fps imagery at 1 megapixel effective resolution. 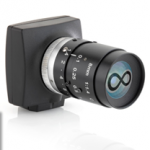 The camera comes with a GigE interface and C-type lens mount. At 5,000 €1, the R5 camera is significantly cheaper than its higher-end sibling. 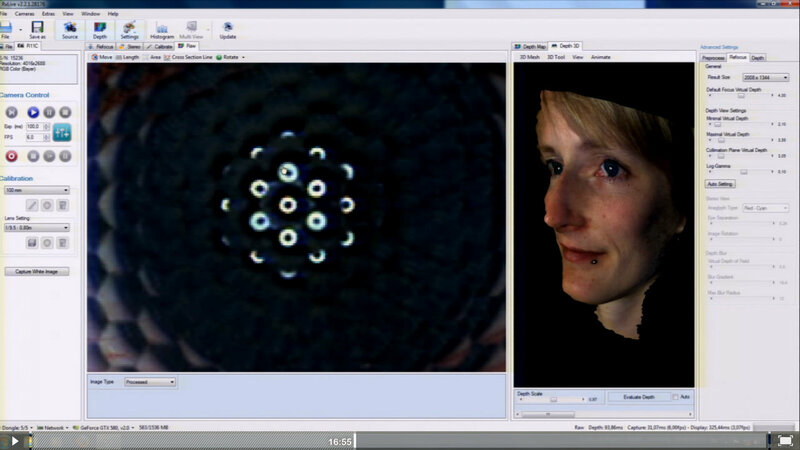 Raytrix partners with Dantec Dynamics to develop the world’s first single-lens Particle Image Velocimetry (PIV) system. 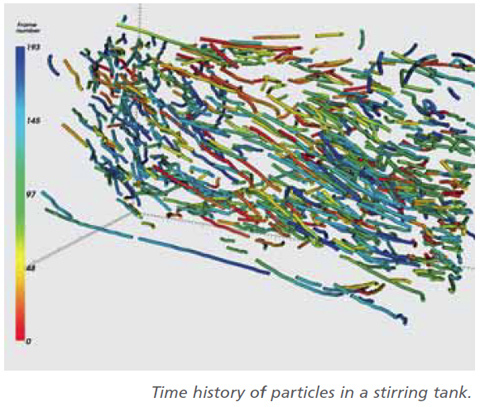 The new solution allows easier and cheaper tracking of particles in fluids, e.g. 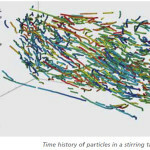 for flow visualization or and single.particle velocity measurements. 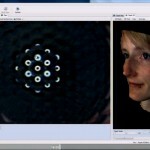 Raytrix publishes research which enables recording of light field images at much higher resolution than previously possible: Using a microlens array containing three types of microlenses with different focal lengths, effective image resolution is increased from ~10% to 25% of the actual iamge sensor’s resolution. 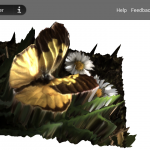 The “Light Field Viewer 3D” app for Android allows users to view and interact with 15 sample light field pictures from Raytrix. Features include touch-to-refocus and 3D turning/tilting using tap-drag or gyroscope. 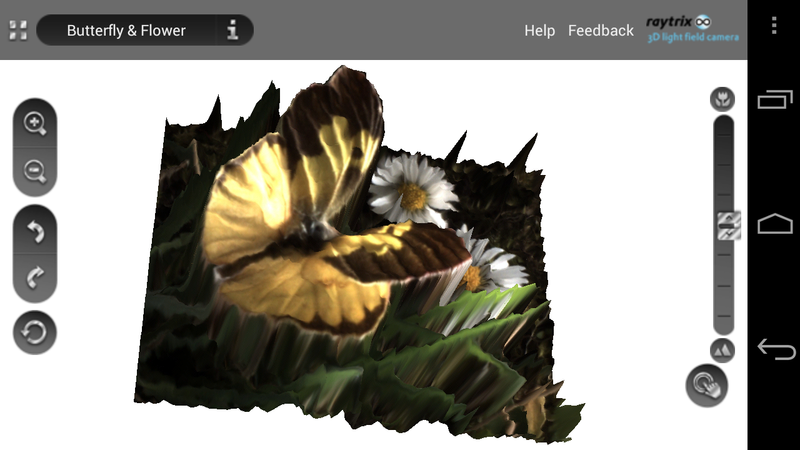 In a later version, the sample image gallery was removed and replaced by a field to enter a “coupon code”. The app is available for free on Google Play. In an article on IEEE Spectrum, a Raytrix official is quoted stating that the company is working on recording high-definition (1080p) plenoptic videos at 30 frames per second, which would be “possible by the end of [that] year”. 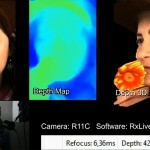 Using footage from one of their cameras for a time-lapse video, the company demonstrates the diverse features of light field technology, ranging from standard 2D output to depth map and synthetic 3D views. At Nvidia’s GPU Technology Conference, Raytrix co-founder Christian Perwass introduces Raytrix light field technology, and demonstrates live 3D video with continuous light field processing. 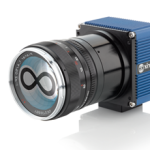 Raytrix showcases plenoptic imaging for scientific and industrial use: the R5µ light field camera is optimized for microscopic applications, bringing post-capture software refocus, extended depth of field and single-lens 3D to microscopy at up to 180 frames per second. 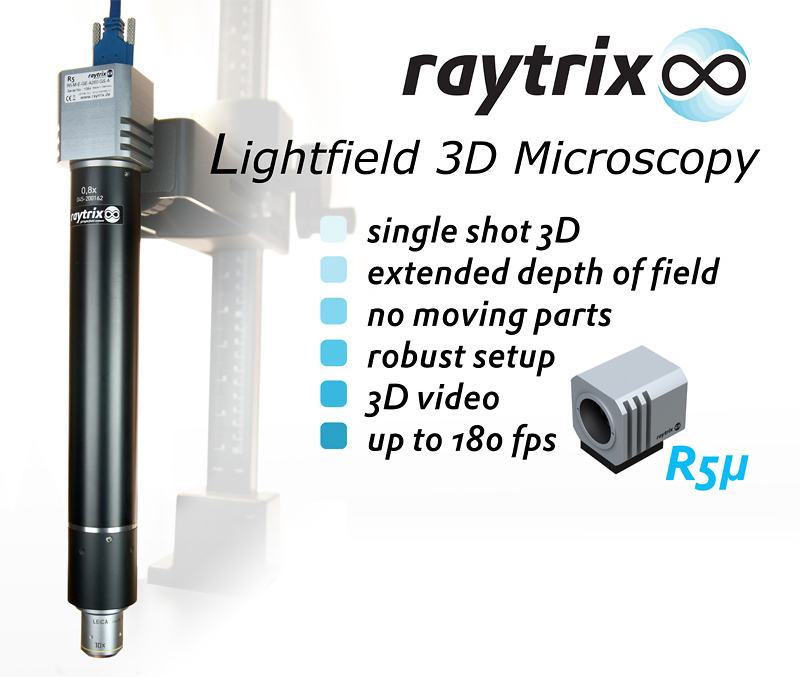 Raytrix and light field technology are featured in a special exhibition in Deutsches Museum, Munich. 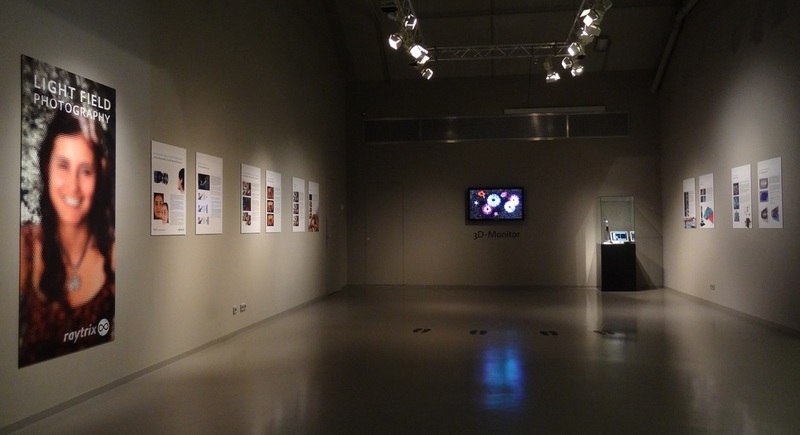 The bilingual (english-german) display posters are available here and explain the science behind light field technology and portray different use cases – from photography to video and scientific/industrial applications. 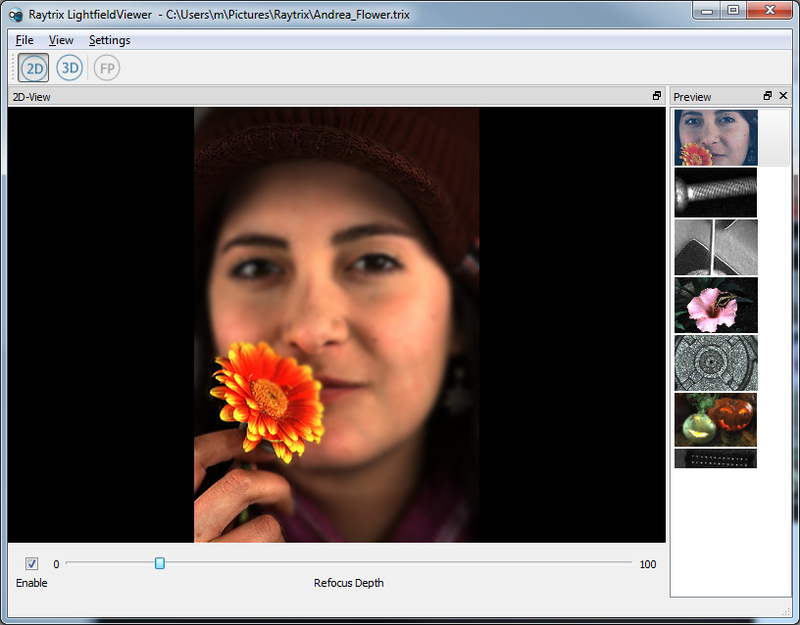 The free software package “LightFieldViewer” allows users to open and display Raytrix’ proprietary .trix files. 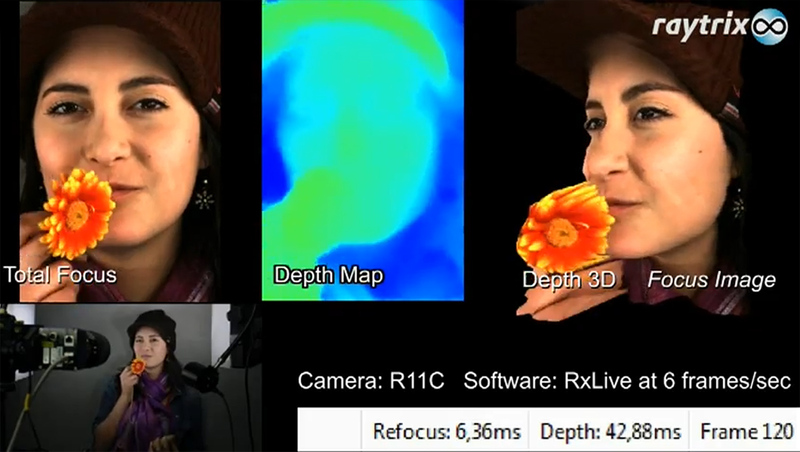 The application features interactive software refocus, depth map display, a turnable 3D view, depth scaling and synthetic aperture. The company announces receiving funding through the “Programme for the Future – Economy”, which between 2007 and 2013 amounted to a sum of more than 660 Million Euros in capital contributed mostly by the European Union.